Deutsche Wohnen has completed renovations in the Hellersdorfer Promenade neighbourhood. Today the approximately 1,300 residential and commercial units are state of the art – and not just in terms of energy. Visible from afar, the neighbourhood sparkles with the radiance of its new facades. 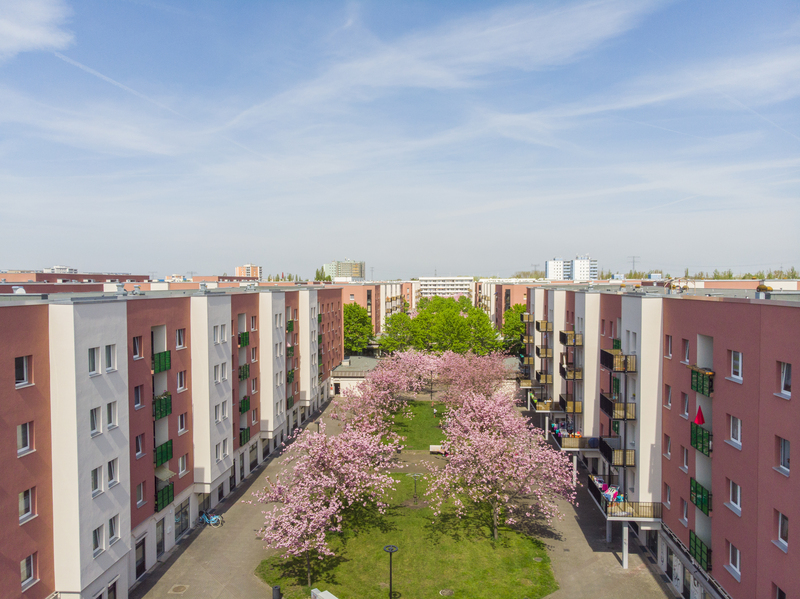 The completion took place on time for the 40th anniversary of the Marzahn-Hellersdorf district in 2019. The Hellersdorfer Promenade is the best proof: Prefab is back in fashion. 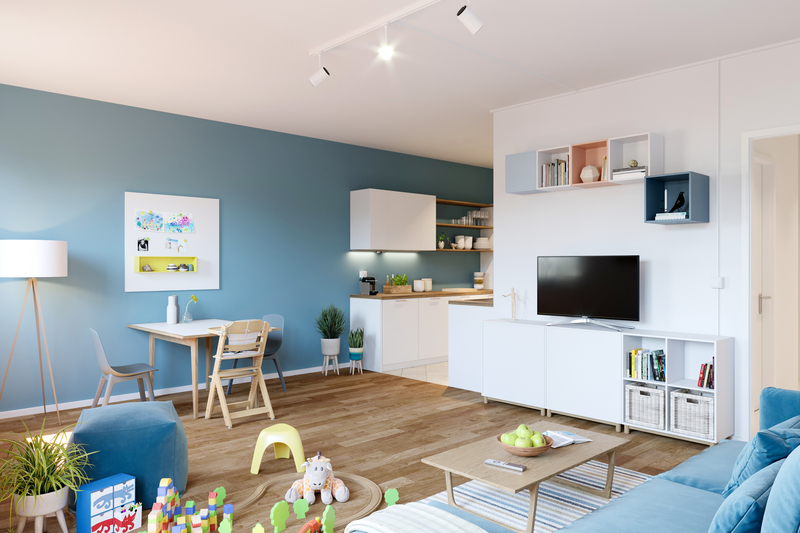 While older buildings often indicate how they should be furnished, prefabricated homes (known as ‘Plattenbau’ in Germany) can be designed to suit their tenants. 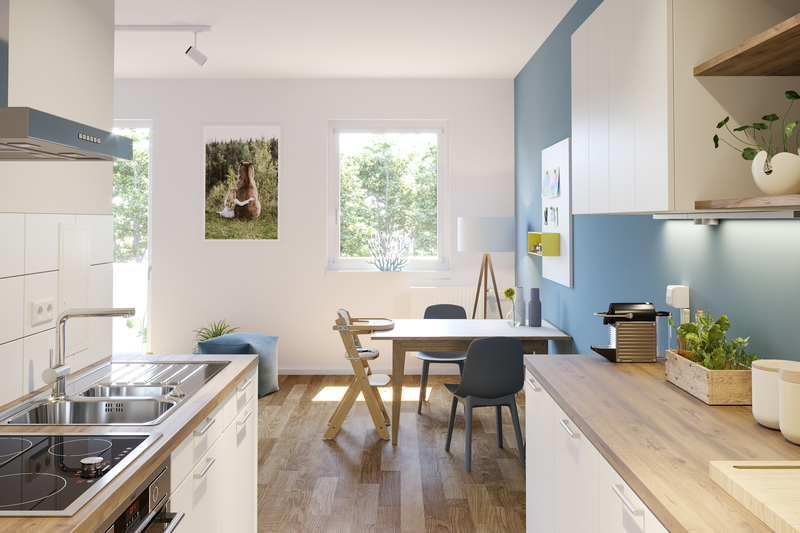 In Berlin, prefab is back in style –for people of all ages and walks of life, for families and single people alike, for artists and creatives. 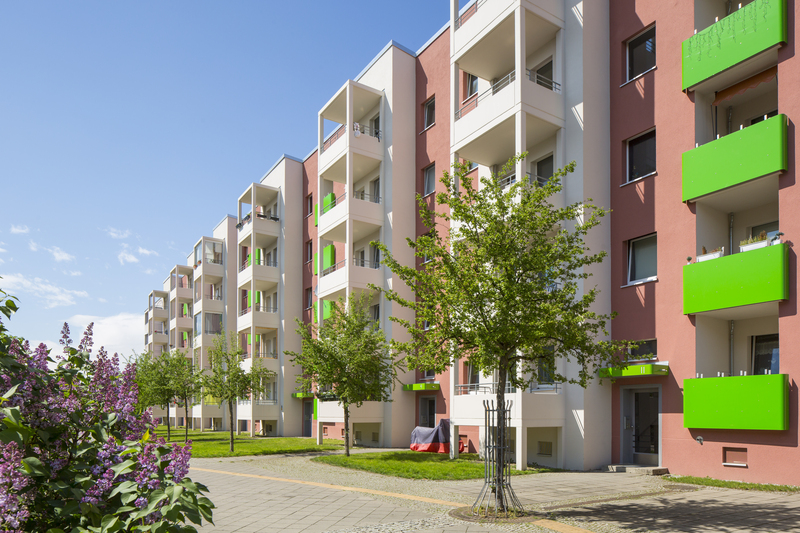 A great deal has been achieved in Marzahn-Hellersdorf in recent years, too. This area of East Berlin dispelled its social housing image long ago. The diverse business hub is now characterised by its excellent healthcare amenities and fascinating cultural and educational amenities, as well as its lakes, the Wuhle river and the recreational park with world gardens. And there’s been investment – particularly in infrastructure. 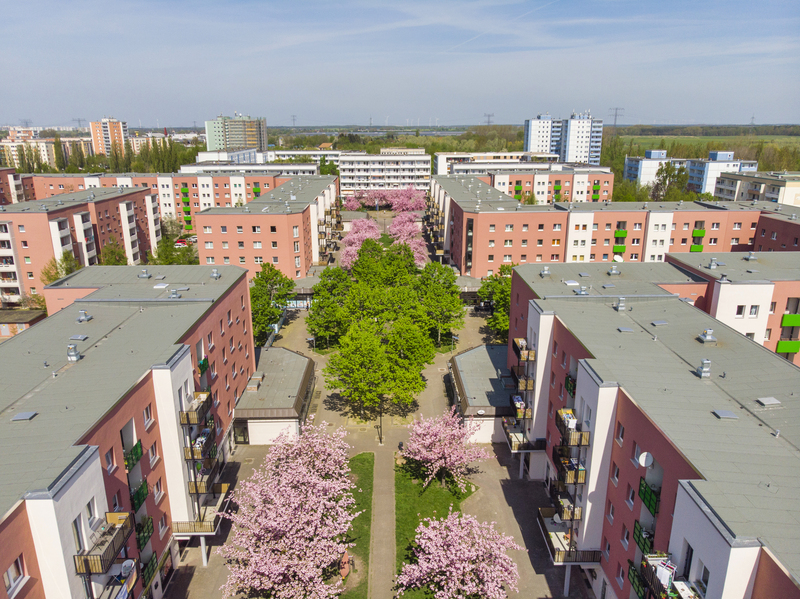 In 2019, the public’s focus centers particularly on the development of the district: 40 years ago, on 5 January 1979, the new urban district of Marzahn was created from parts of the districts of Lichtenberg and Weißensee by a resolution of the East Berlin City Assembly. In turn, the district of Hellersdorf was again founded from a part of Marzahn in 1986, which in 2001 "merged" with Marzahn to form today's district of Marzahn-Hellersdorf. In addition to a photo exhibition in Schloss Biesdorf, the festival committee also invites visitors to the Classic Open Air in the "Helle Mitte" and to a big birthday party in the "Gärten der Welt". On the organiser’s website and Twitter account, both especially designed for this anniversary, visitors can get information about all events. In the northeast of the district lies the Hellersdorfer Promenade. 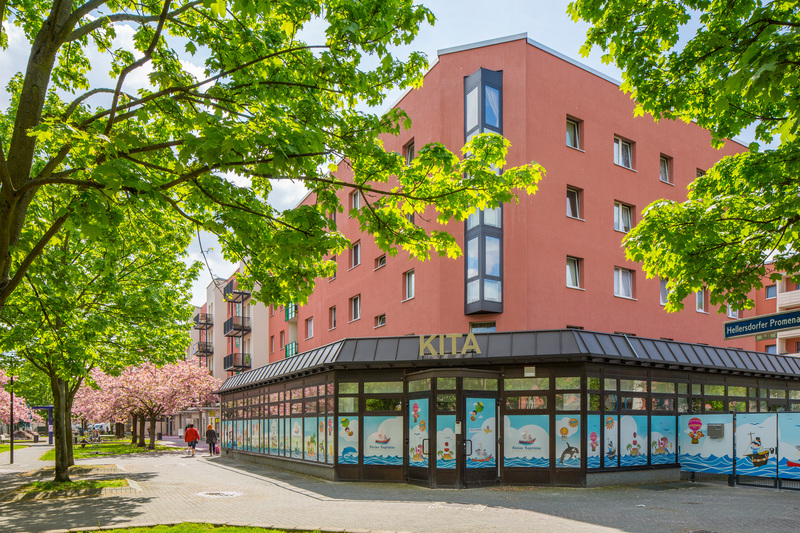 Deutsche Wohnen invested around 35 million euros in this neighbourhood between 2014 and 2018. 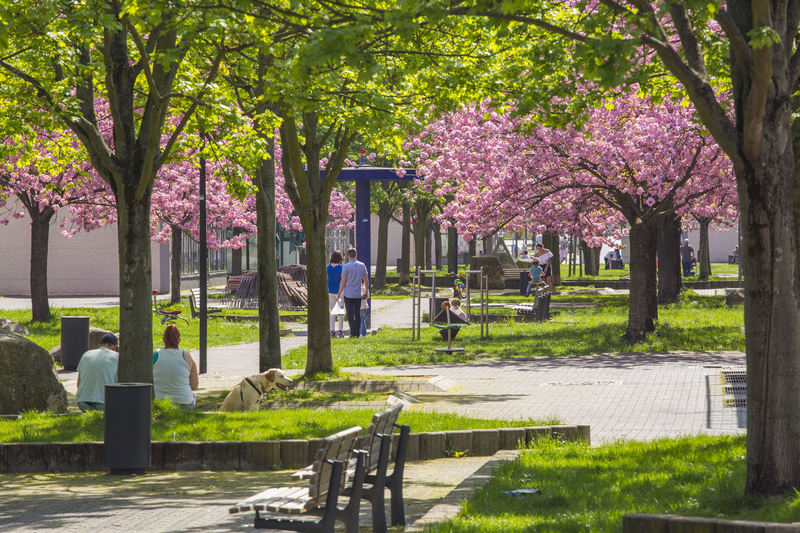 With its green spaces, the area has developed its own special character – particularly when the cherry trees are in bloom. The tenants have a significant stake in this. They were closely involved in the process of redesigning the outdoor facilities in consultation events with Deutsche Wohnen. To further revitalise the neighbourhood, Deutsche Wohnen also built balconies along the promenade, thereby enhancing quality of life and living. 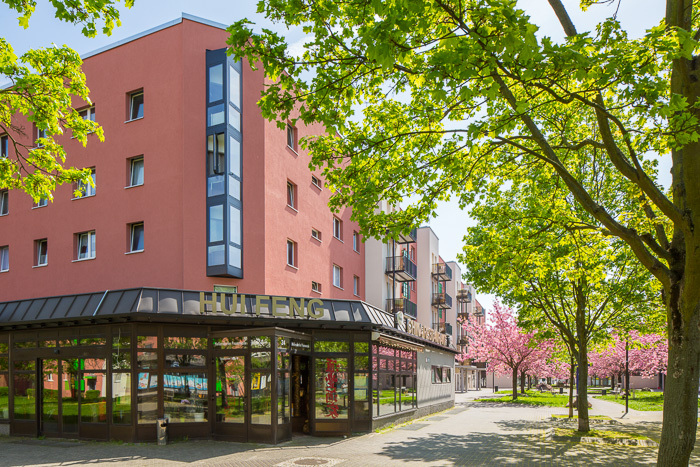 Today the Hellersdorfer Promenade is home to a vibrant mix of all kinds of people: long-standing Hellersdorfer residents who have lived there since day one alongside young families, singles and couples. The local neighbourhood management and several committed associations and institutions actively work to ensure a good community atmosphere. Deutsche Wohnen supports this very important work by providing funds and commercial spaces. The renovation works have made a major contribution to the new positive image. 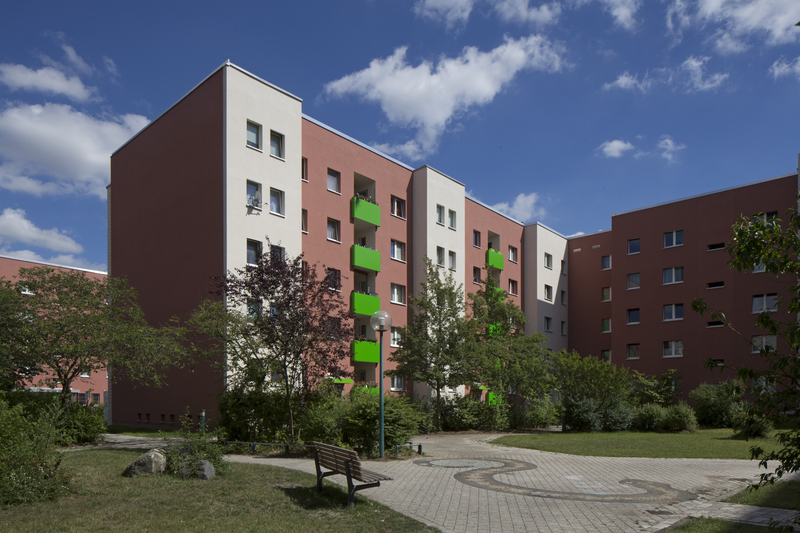 The focus of the works on the six housing blocks were facade insulation, new windows, balcony balustrades, balconies and winter gardens as well as the renovation of roofs and building access. The outdoor facilities and green spaces were also redesigned – with street furniture, play facilities and meeting places. These help tenants feel at home not just indoors, but outdoors, too. The outdoor facilities and green spaces were also redesigned – with street furniture, play facilities and meeting places. 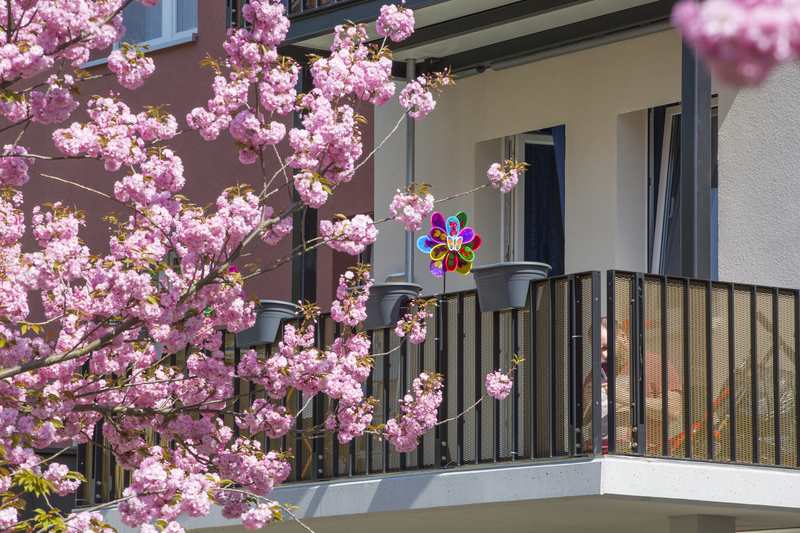 These help tenants feel at home not just indoors, but outdoors, too. The redesigned Hellersdorfer Promenade is now a wonderful place to relax and stroll.